You were there just after me. I went Sept 30-Oct9. It was wonderful. Can’t wait to hear more. I too was shocked at the rocky terrain. I kept thinking “upon this rock” his church is flourishing. 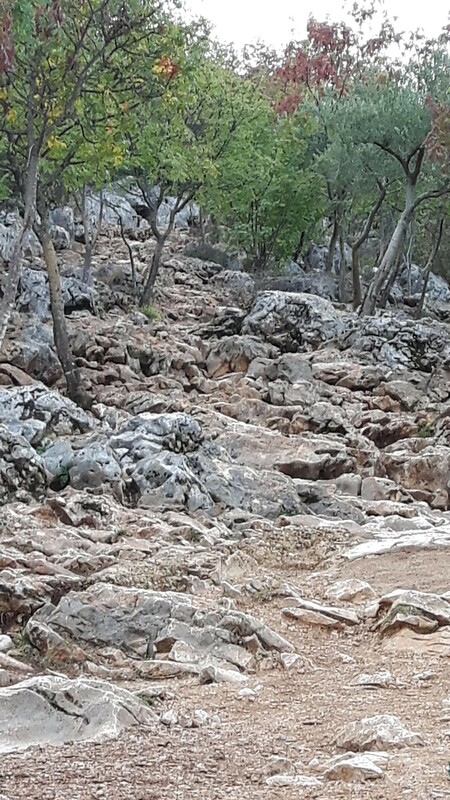 I have been to Medjugorge 3 times and on the plane over the first time I was planning to climb Cross Mountain every day while there. I had no idea how hard those climbs are. I have no depth perception, some loss of balance, and short legs. Right before descending it began to rain and the rocks became slippery. When I got to the bottom I burst into tears. But I love Medjugorge. Being there has such a huge effect on the soul. I wish it was a yearly event for me. It is said that those who go there have been chosen to be a part of a mosaic and have been prepared for this mission from their earliest childhood without being aware of it. I am so glad you got to go there! Janet thank you for that beautiful post. 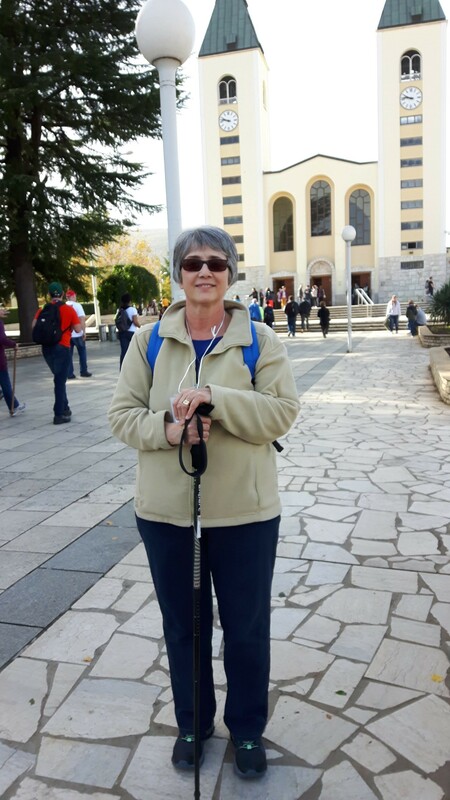 It brought back many memories of my own trip to Medjugorje in 2013. When I climbed Cross Mountain it was raining 2 to 3 inches an hour, we had to climb on the rocks themselves, because the dirt between them was rivers of water. I looked up at one point and saw a pair of naked, barefooted, bleeding legs in front of me and realized it was Jesus. Somehow I was following Our Lord in His path to Calvary! I felt that I was seeing all this through Our Lady’s eyes. I will never ever forget my experiences there. What really made the most impression was the Franciscan friars and there strong mission and witness. We went to see Father Jozo and got to visit the site where 62 of the Franciscans were martyred by the Communists in the 1950s. That trip changed my whole life and I really thank you for writing this and taking me back there, if only for a little while! Amazing Judith! The veil between Heaven and Earth is indeed very thin there!